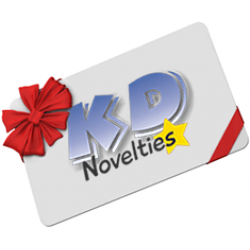 Welcome to KD Novelties, your resource for the best educational and entertaining gifts for children, including personalized baby book baskets and other heartwarming gifts that are perfect for any child. 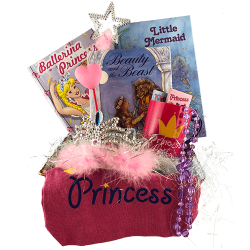 Our personalized book baskets are an ideal gift for that special child in your life. 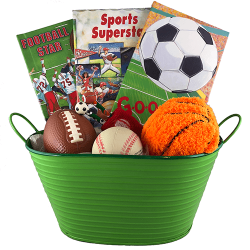 We have themed baskets for every occasion or special event in a child's life, including birthdays, kindergarten graduations, religious ceremonies, and so much more. 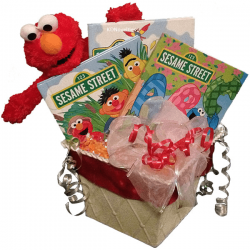 These book baskets will bring a smile to any child and help them develop their reading skills, too! 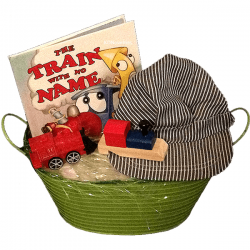 What better way to present and promote reading than with a beautiful basket full of literacy and adventure. 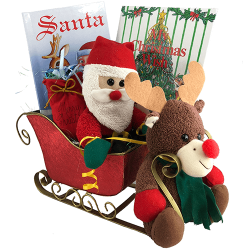 Reading is an essential educational skill, and learning to read can be one of the most challenging tasks your child will tackle in their early years. 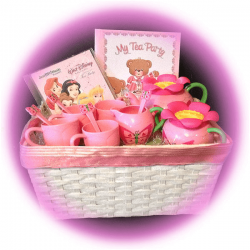 Make this process fun, successful, and exciting with personalized books, presented to them in beautiful, special, custom baskets. 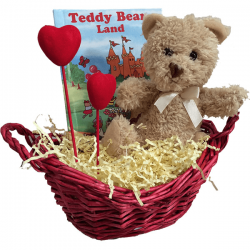 Include toys like stuffed animals and tea cups with their books so they can use interactive toys as they learn to read.